“I think uniting as women is a very noble and good idea, but let’s look at reality. Reality right now is we have four female candidates out of the 23 presidential candidates. 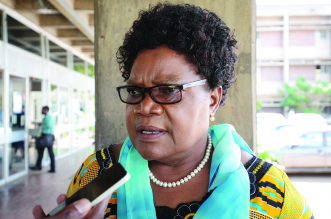 So I would like to encourage women to vote for one of the women who are sitting at front here,” Khupe said.